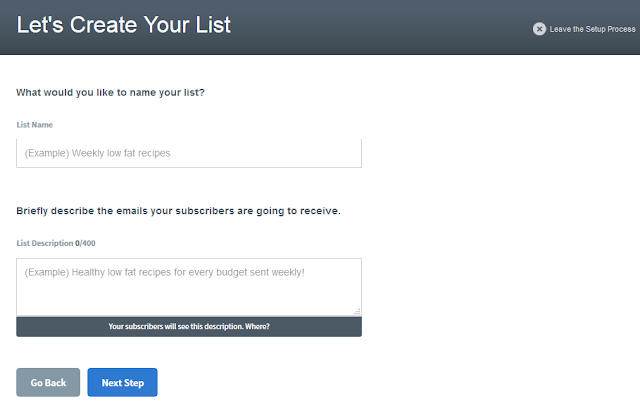 SImple steps to create a new email list in Aweber, that is the best email marketing tool out there. Create Auto responders: Which are a series of emails that you can set which would be delivered to your email subscribers once they register/signup for your email list. This comes in handy to create a relationship with your newly subscribed email subscriber who would get quality information/deals right in his inbox with a set time sequence without you having to send the emails individually to each subscribers, which is near to impossible if you've a huge audience. Create Email Newsletters: You can create email newsletters (you can choose from tons of predefined templates which you can choose as per your blog's niche) which you can set to be set weekly, daily etc. Or you can also send one time email broadcasts too for any specific occasions. Auto Download System: With Aweber, you can create an auto download system where your blog visitors can subscribe to your email list and in return get a freebie to download such as an eBook, online course etc. You can learn how to set an auto download system with Aweber. There are tons of other features such as creating on Email Subscription forms, A/B Testing for better email results, Managing subscribers in detail etc. I layed down these features to give you an idea as to how powerful Aweber can be for your blog to capture email subscribers. Make sure you read this full list of Aweber features too. How To Create a New Email List In Aweber? Email list is the list of email subscribers you will capture over the period of time on your blog. These are the honest followers and fans that would like to hear more of what you have to offer with time to time. 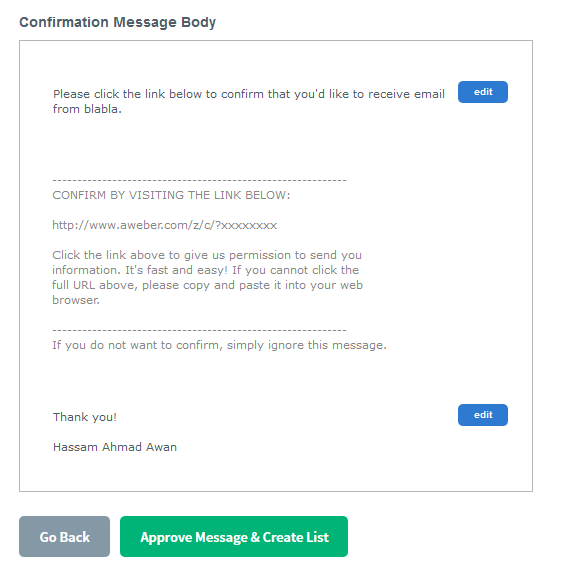 With Aweber, you can create multiple email lists along side of one an other. You might want to categories your email subscribers into separate lists so that you could later send them precise content as per their liking. For example, on many popular technology blogs, you'd have noticed that you get an option to subscribe to their email newsletter. There you can choose any specific category to subscribe to and leave others. This subscribes you to their specific email list where they can then send articles of that very particular sub category. You might only like to receive emails from me regarding 'make money online' keywords, and might not be interested in 'blogging tips'. So you could make a system where you can create multiple email lists to define a specific category of your blog and interest of the audience. With that being said, lets jump right into the steps you need to follow in order to create your very own email list in Aweber. Simply put your login credentials and get to Aweber's Dashboard. Once you're logged in, you'll be redirected to their Dashboard where the real fun begins. You'd notice that I have currently 4,867 active email subscribers in my 'bloggingehow' list. In my future posts InshaAllah, I'll share some great strategies to clean up your email lists to save your self money. Every subscriber that you've in your email lists costs you money, as you pay to Aweber on the basis of email subscribers that you hold altogether in your lists. Up til now, I've collected over 17-20k email subscribers, BUT currently I only have 4,867 subscribers that are filtered out to be the most active ones. It's better to have an active email lists that opens up your emails rather than thousands of email subscribers that are dead and are no longer interested in what you send. More about on cleaning your email list in the upcoming emails InsshaAllah. While you're in Aweber's Dashboard, simply scroll down where you'd notice a button that says 'create a new list'. In the first step, they'd like you to enter some basic information about your self and your blog/company. This is usually pre filled up as you already entered this basic information while you were creating your account with Aweber. In the next step, you'd have to enter your email list's name and basic description that would be displayed to the subscribers while they'll be subscribing to your email list. You can enter something like 'Receive regular quality tips on How To Make a Living Online' etc. This would largely depend on what niche you're in. And most importantly, what sort of relationship you'd like to maintain with your subscribers. I would make this description more personal rather than a description from a popular technology blog. Once done, simply move on to next step by clicking 'next step'. 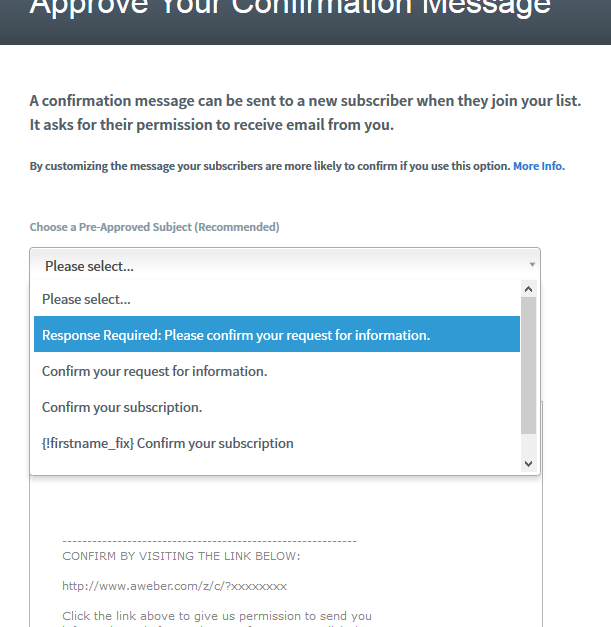 In the next step, you now have to configure your email confirmation message. This is the email that is sent to the new subscribe to confirm his/her email to avoid spam emails. People often enter wrong emails to download your free stuff. To abstain from this, you'd want to create a double optin, which means that they would have to confirm their emails first by clicking to a 'confirmation link' in the email that you'd be sent to them automatically once they'd register for your email list. You can edit the email subject as per your liking, and edit out the email body. I like to get personalized with my email and send the following confirmation email for you to have an idea. 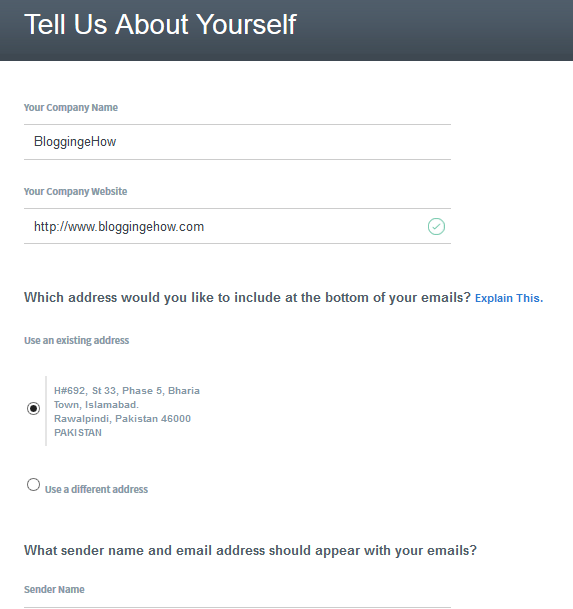 I am glad that you signed up for BloggingeHow via email. There are bunch of quality posts that we'll be sending over to you in the future. You now have to confirm your subscription by clicking the link below. Once done, simply hit 'Approve message and create list'. You're all done. You have create your new email list. In the future posts in this series, there are bunch of more interesting stuff regarding Aweber and how you can manage your email list following in the best way you can. Now, I have some important posts left for you to read and increase your knowledge about this wonderful comprehensive email marketing tool.